Don’t carry rocks around with you all day or haul them back to camp or your vehicle without first finding out if they have gold or not. Save your valuable time and energy -- this portable rock crusher weighs about 10 pounds can go anywhere and is perfect for sampling! Simply break up some rock, pulverize, pan the crushed material and in minutes find out how much recoverable gold is in the rock in that area. The Cobra Crusher works by attaching to most standard Angle Grinders/ Steel Grinders. Recommended minimum power is 7 amps at 110v for when you're in the shop. Otherwise, a strong 18v or higher professional grade battery powered machine works great for totally mobile prospecting and crushing. 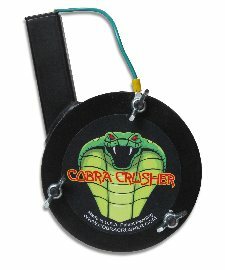 Cobra Crusher is interchangeable and can re-attach to either machine in about 3 minutes. The straight feed tube takes rocks approximately 1" by 1 inch. All steel construction. Scroll down to watch demo videos. The crusher in the videos is the first model. The latest and greatest model shipping now has a straight feed tube. This makes it easier to feed rocks into it and much easier to pour out the pulverized material. Don’t be fooled by assays that count gold in sulfide ore that cannot be easily separated. Find out the true recoverable value of your gold per ton with the Cobra portable rock crusher! Samples are incredibly easy to pan or separate by all standard methods as the ground up material is all close to the same size and the lighter material washes away easily. Also, the gold is rolled and rounded during the crushing process which facilitates easier recovery -- unlike thin flakes which can be easily washed away by mistake. Although this unit will quickly grind your samples down to powder, it is meant to be a sampling machine. It is not intended to be a high production rock crusher. 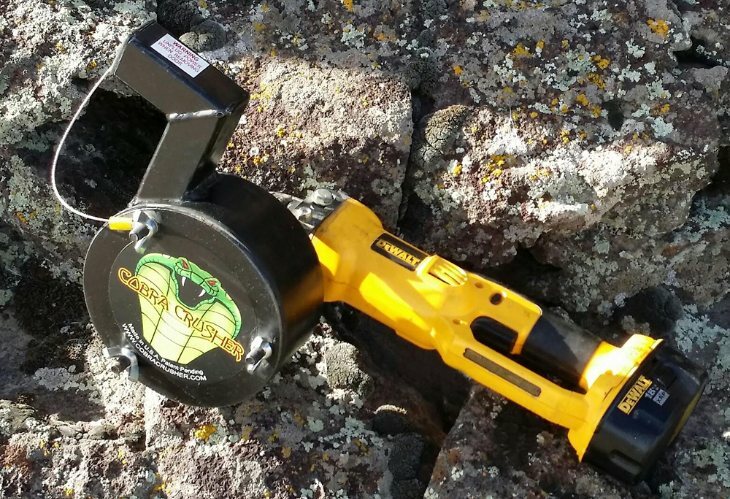 The Cobra portable rock crusher weighs about 10 lbs. Grinding chamber dimensions: 7.5 inches across x 3.5 inches wide x 9 inches tall including feed tube. 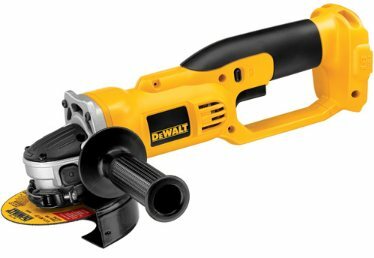 Don't have an angle grinder to use with your Cobra Crusher? Click here for larger powered rock crushers.